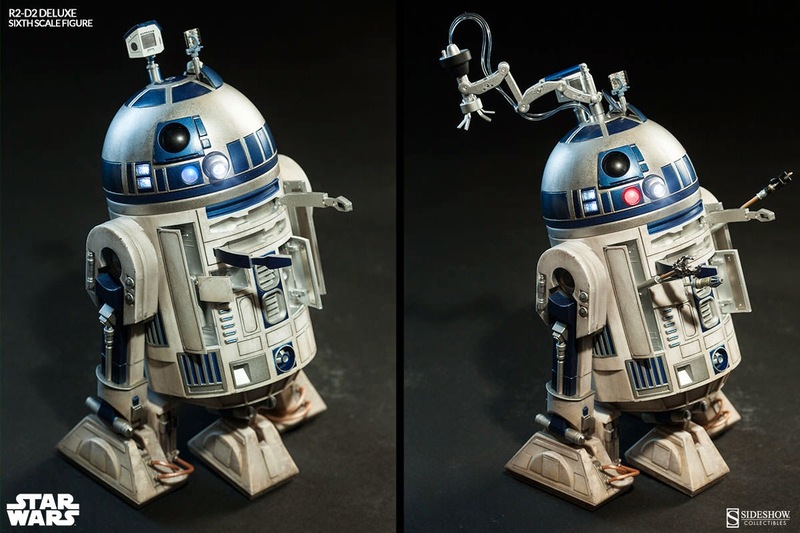 In celebrating Star Wars Day, Sideshow Collectibles is doing it big with another amazing release to celebrate May the 4th. 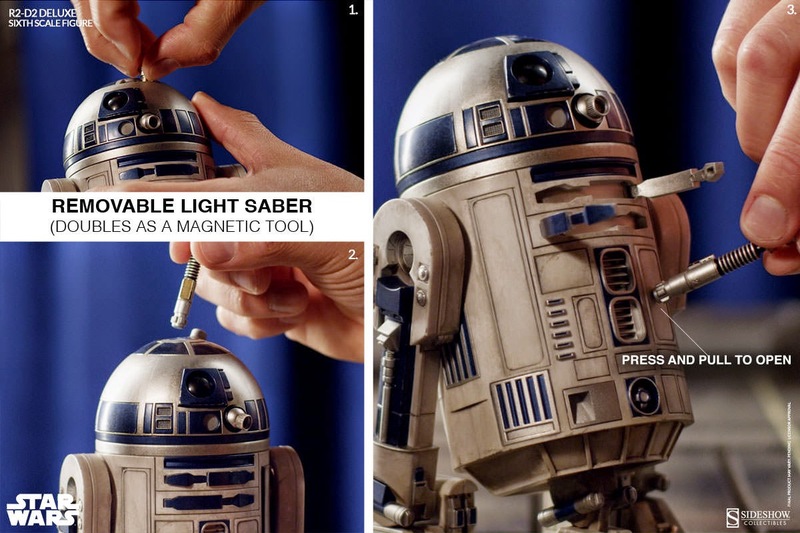 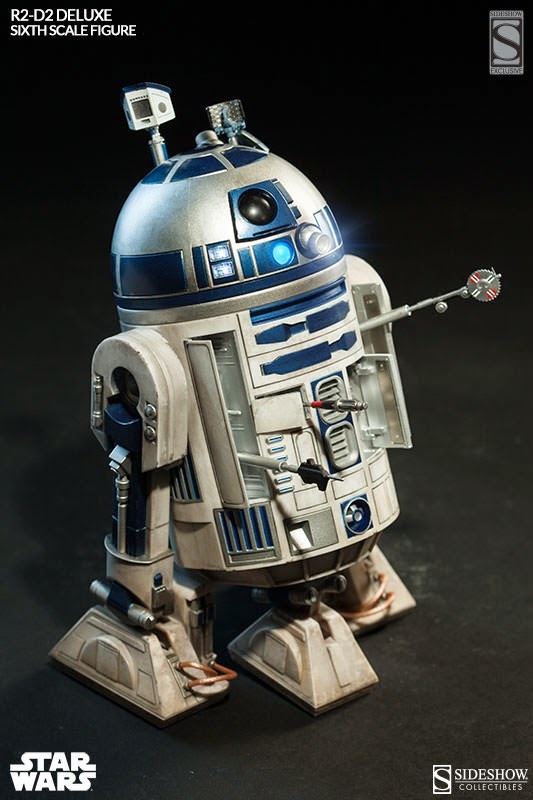 They did tease their newest addition in their Star Wars Sixth Scale figures with the R2-D2 and he is now available for pre-order. 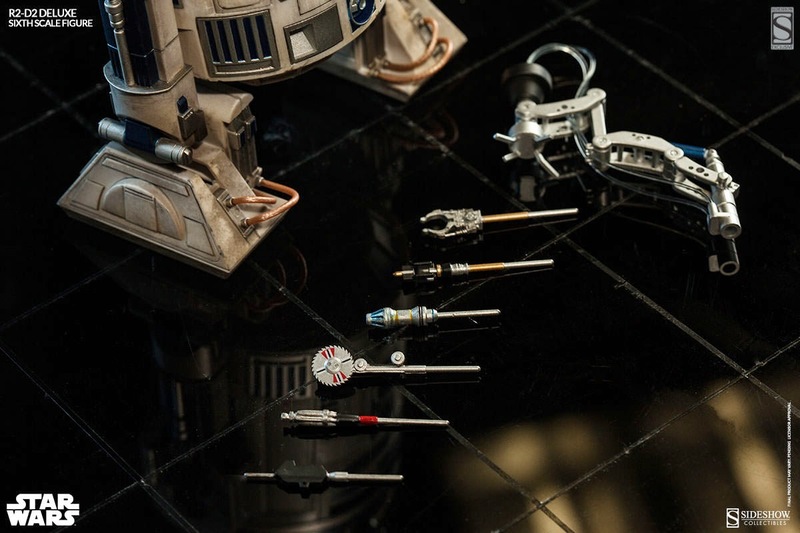 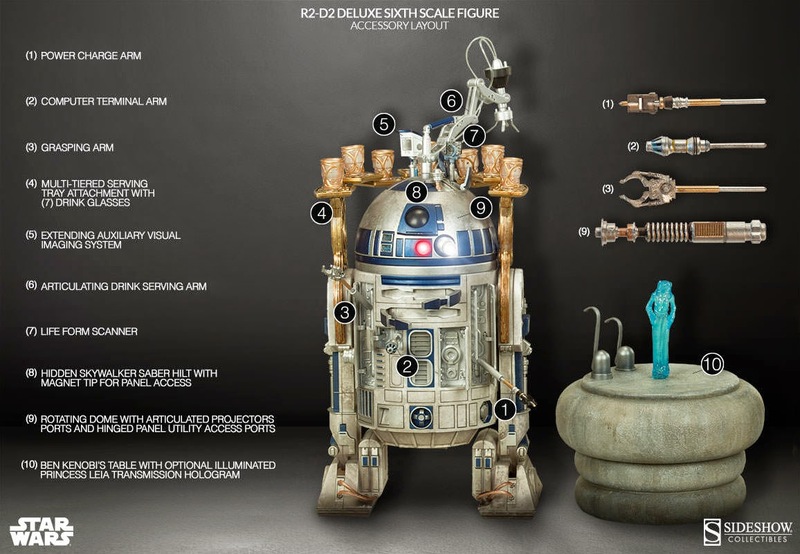 While there may have been a few releases of a 12" version of everyone's favorite Star Wars Astromech Droid, I would have to say Sideshow Collectibles version is taking him to a whole new level with the details, light up features, and accessories. 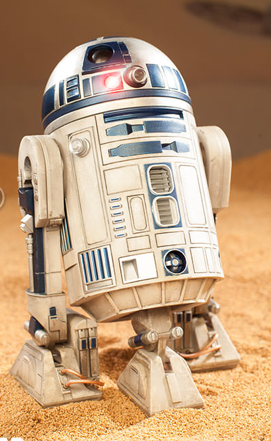 Sideshow Collectibles Star Wars R2-D2 Deluxe Sixth Scale Figure is now up for pre-order.